It isn't a stretch to call Roger Federer the greatest tennis player ever to play the game. He has won 17 Grand Slams, spent 302 weeks ranked as the top tennis player in the world, and between 2005 and 2010 he played in 18 out of 19 Grand Slam finals. But it wasn't just on the court where Federer excelled. Off the court he also racked up a portfolio of endorsement deals that puts even Michael Jordan to shame. His record setting tennis career and endorsement deals propelled Federer onto the list of the highest paid athletes of all time. The 35-year-old Swiss tennis player has made a staggering $600 million over his career. Only $99 million of that money comes from tennis prizes! Federer turned pro in 1998 at age 17. 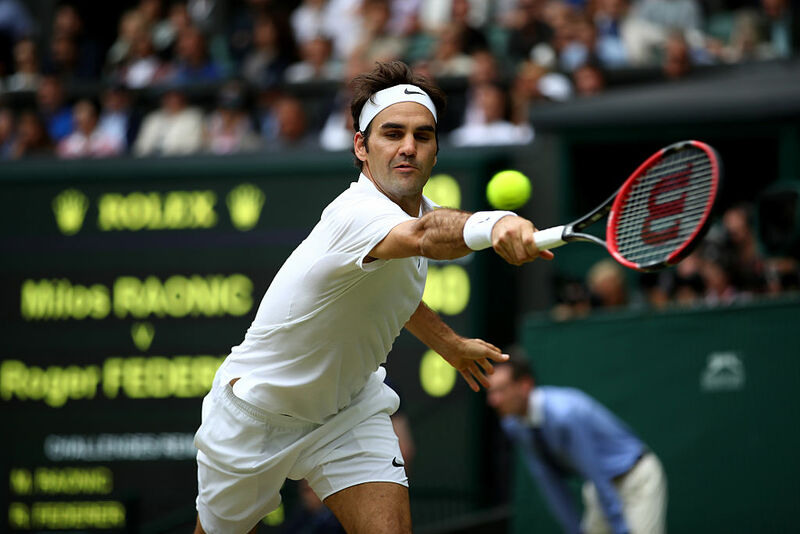 His decade of absolute dominance started in 2003, when he won his first Grand Slam title at Wimbledon. At the time, Federer had endorsement deals with Nike (apparel) and Wilson (racquets). Once he won, sponsors started beating down his door trying to get him to sign up to endorse their products. In 2004 he signed a deal with Maurice Lacroix watches (later replaced by a deal with Rolex), Gillette signed him up in 2007, followed by Mercedes, Credit Suisse, Lindt chocolates, Moet & Chandon champagne, and more. What sets Federer's endorsements apart from other athletes is the sheer length of them. Most of his deals are for 10 years, which is an enormous commitment, considering we live in an era of athletes and scandals that embarrass their sponsors. Collectively, 10 sponsors pay him about $45 million a year. His 10-year Nike contract is the biggest in history of the sport at more than $10 million a year. Part of the reason for Federer's success with sponsors and endorsements is tennis itself. Tennis is very attractive to sponsors due to the high disposable income demographic of its fans. Tennis is also a nearly year round sport, which keeps Federer in the spotlight. When it comes to athletes, he has been about as attractive to sponsors as they come. Prior to 2012, he never faced a major injury that kept him sidelined for months at a time. Plus, he's reached at least the semifinals in the vast majority of tournaments he has played in, keeping him in the press and in front of TV audiences. Another key to Federer's amazing $600 million career earnings is the global nature of tennis. This allows sponsors like Mercedes, Nike, and Gillette to use him in ads in Asia and Europe as well as the U.S. Football and baseball players don't have this sort of global recognition and are limited to mostly U.S. advertising. His global recognition is on par with David Beckham, Michael Jordan, and Lionel Messi. But it isn't just sponsors who love Federer, it is fans as well. He has been voted the fan's favorite ATP Tour player for 14 straight years –2003 to 2016. Currently, Federer is the 16th ranked tennis player in the world and looks to make a return to playing form in 2017 after a knee injury sidelined him from the ATP Tour and the Summer Olympics in 2016. *Although Roger Federer has made $600 million to date, this figure is before taxes, management fees, etc. He has an actual net worth of $350 million. His recent US Open victory added $3.8 million to Djokovic's total career earnings on the court, bringing his total to $119.1 million, enough to edge out Roger Federer. Roger Federer's long-term deal with Nike is finally over. To celebrate, he's going to make a LOT of money from rival company, Uniqlo. Even though he hasn't renewed his contract or found a new clothing brand to sponsor, he's said to be eyeing a contract with Uniqlo that could be worth almost three times as much as what he's making with Nike.